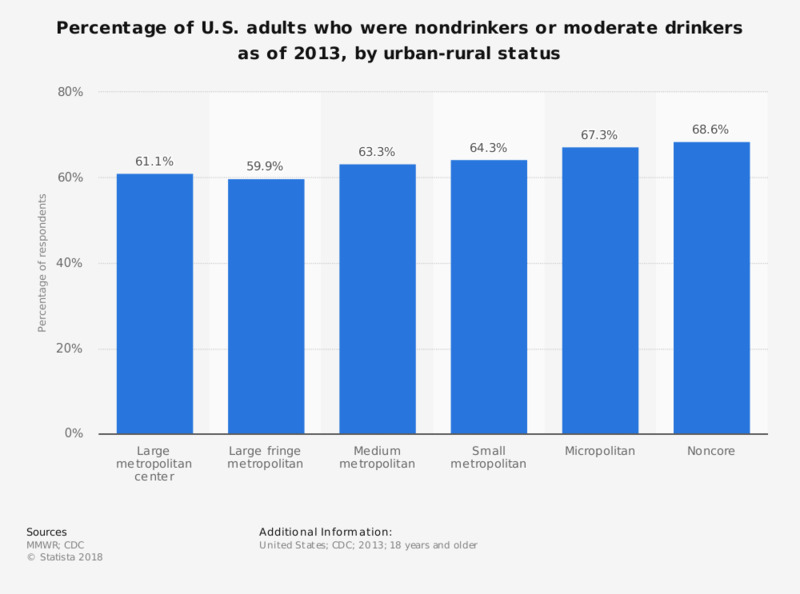 This statistic depicts the percentage of survey respondents that indicated that they were nondrinkers or moderate drinkers in 2013, by urban-rural status. According to the results, of those living in large metropolitan centers 61.1 reported being nondrinkers or moderate drinkers. Respondents aged 18–20 years were defined as nondrinking or moderate drinking only if they did not drink alcohol because any alcohol consumption is illegal for those ages.